The spring time months in some parts of the world means flowers opening, trees budding, and a relief from severe cold weather. 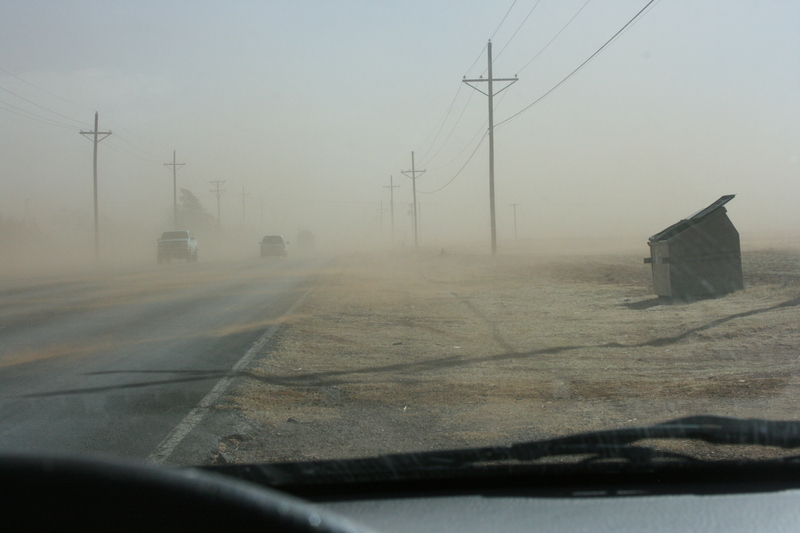 Here in West Texas, spring tends to mean something else: Dust. 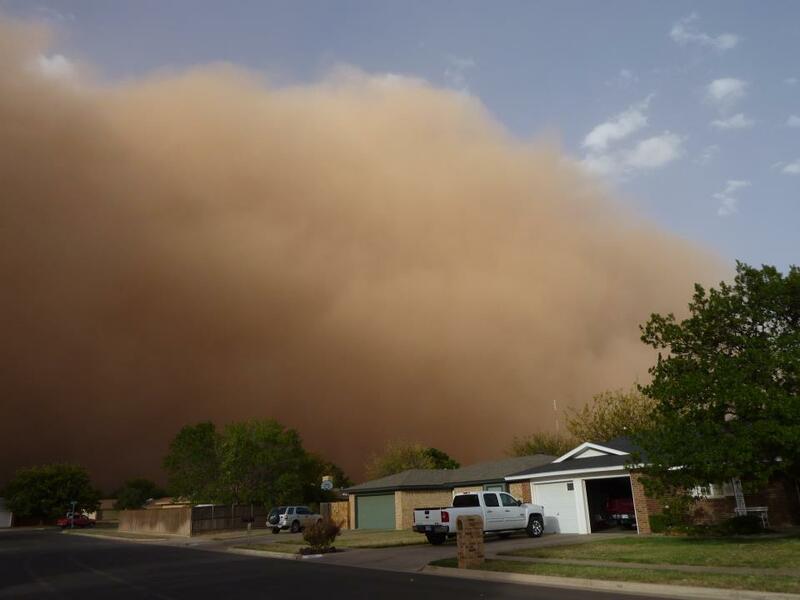 You may have seen the dust storms in cowboy movies of the past: high levels of wind, dust close to the ground (and up) turning the lower part of the sky brown, tumble weeds blowing across the screen… My friends and country people – this is all true for where I live. There’s little Hollywood hyperbole needed to convey the dust storm experience on screen. 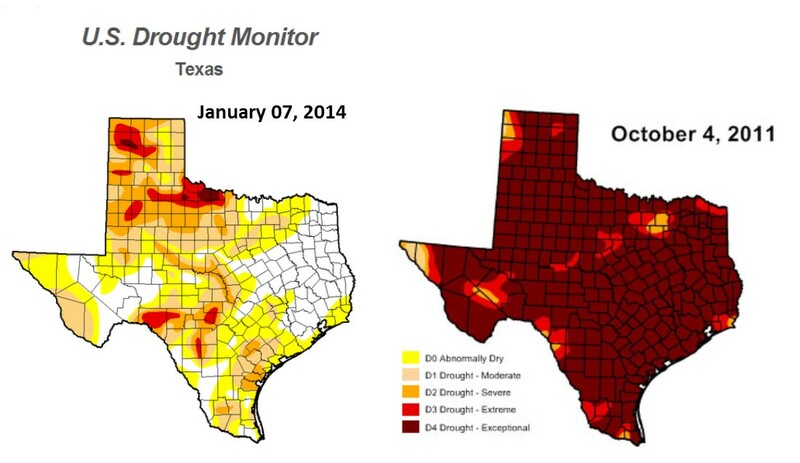 Better than we were in 2011, but still in drought conditions… Illustration: NWS/Lubbock. And yet people continue to groan and mumble about the water restrictions for watering their lawns, and businesses hoist signs saying “We have private wells” so they can avoid the code restrictions and water their landscaping with impunity. Without rain and further water exploration research, it’s not unforeseeable that semi-arid (and other arid) places are going to turn in to deserted towns (a la cowboy movies). I don’t have the answer to solving the water shortage problem – it’s not just here in West Texas – but I do wish people would focus some resources on researching options. If one of our neighboring towns runs out of water (and we get no more rain), what then? I love living in West Texas. Don’t get me wrong. I’m not being alarmist, but the question remains: will there be a habitable West Texas to love in 20 years time? This entry was posted in Uncategorized and tagged American, weather, West Texas, wind by lizipaulk. Bookmark the permalink.